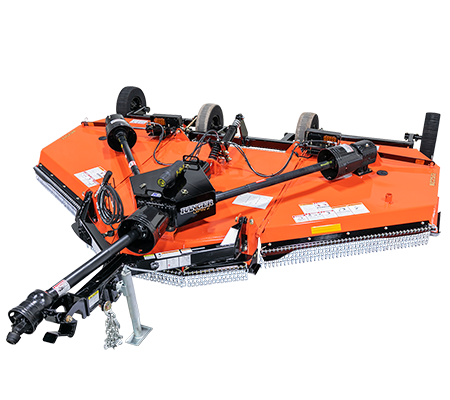 Designed with smaller tractors and smaller areas to cut in mind, our 12′ Rotary Cutter has a lot of the features found in our larger folding cutters. The 12′ width, sharp turning radius, and low tongue weight makes this an ideal rotary cutter for compact tractor owners. Safety Guards Front and Rear Chain - Std.